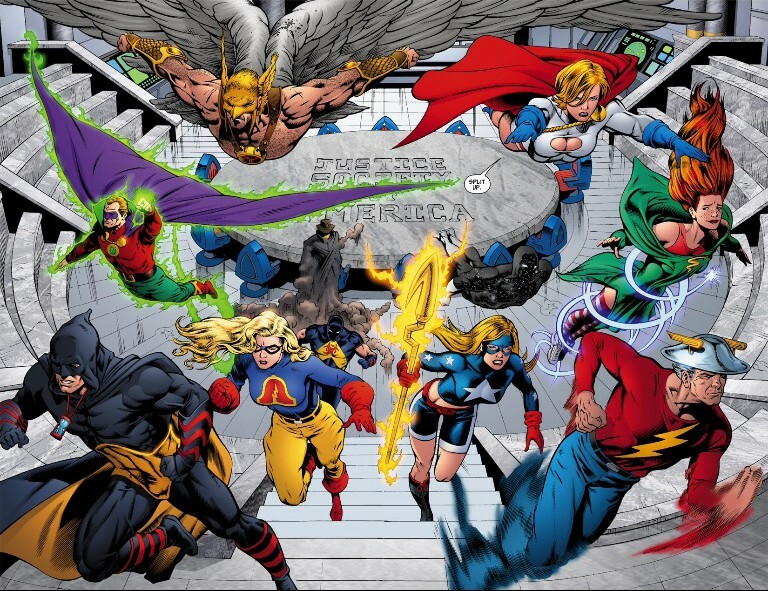 Is the Justice Society the Secret Weapon That Will Save DC Comics? DC Comics is in trouble. That’s been obvious for a long time. But in an unprecedented move, the comics giant has acknowledged it screwed up. While the much hyped 2011 company reboot “The New 52” had some bright spots, it has been a critical and sales failure. As part of that ill-fated retcon, the Justice Society was wiped from the DC Universe. The premier super-team and its fabled heroes never existed. But what can be erased can be returned. DC’s latest company-wide reboot, “Rebirth,” launches next month. While the much rumored “Justice Society” title is not among the books DC is soliciting for May and June, there’s a strong indication the Justice Society will be critical to getting the company back on track. And it comes on the very image DC is using to hype the “Rebirth” event. “It All Starts Here!” the graphic screams. Trapped in the lower hourglass, the members of the Justice League – Superman, Batman, Wonder Woman and others – languish. 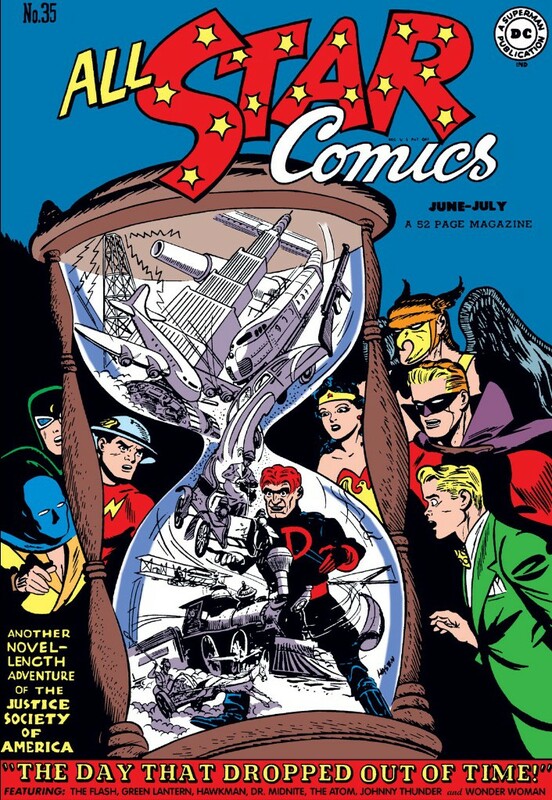 But in the upper hourglass, members of the Justice Society – Green Lantern, Hourman, Black Canary, Dr. Fate, the Flash, the Atom and Dr. Midnite – struggle to break free. “Unlock the First Clues to the Secrets of Every Title in ‘Rebirth’,” the ad concludes. You don’t need to be the Dark Knight Detective to know that the first new image of the original super-team in years used to advertise the company’s keynote event of 2016 is significant. “The themes of (‘DC Universe: Rebirth’) divide into four chapters. The first one is about loss. It focuses on what perhaps has gone missing in our comic books, when it comes to the DC Universe. And historically what the DC Universe really is. “The second chapter is about legacy. That’s the main thing I feel has been lost from the DC Universe from the New 52 reboot. We’re showing a kind of secret side of the DC Universe, where legacy comes into play again. “The next chapter is love, and it’s all about the love that’s in the DC Universe … and that which has disappeared from the DC Universe. Can there be any doubt Johns is talking about the Justice Society? The New 52 left all the DC heroes untethered to continuity. Allegedly, the writers would fill in the blanks as needed. It was an experiment that failed to connect with readers. 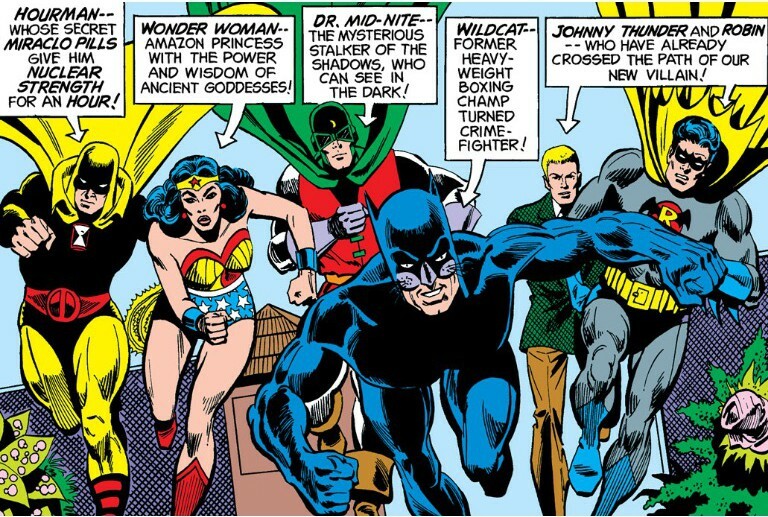 The Justice Society races into action in the now-classic ‘Justice League of America’ No. 123. What better writer to reintroduce the Justice Society to readers? Johns’ first big break came as writer of “JSA” and then “Justice Society,” producing some of the company’s – and his own – finest stories, ones that melded the veteran heroes with newcomers who carried on – wait for it – the legacies of those who had gone before. Johns honed the Justice Society as DC’s First Family and its finest teachers to the next generation of heroes. Johns’ choice of words all but promises the return of the Golden Age Greats. And that image might tell us more of the threat the DC Universe faces. There’s something familiar about this hourglass theme. Where have we seen that before? “All Star Comics” No. 35, cover date June 1947. And there was this sequel of sorts decades later. “JSA” No. 72, cover date June 2005. Per Degaton just happens to be a time-hopping villain who tried several times to eradicate the Justice Society out of existence. In one utterly creepy tale, he stalked the team through time just for pleasure. Will “Rebirth” reveal he was successful? Or does the team exist in some pocket of time, their presence vital to setting the DC Universe back on keel? I could really go for a premise like that. Of course, the Justice Society’s return to the DC Universe won’t be alone to salvage the company – but it would be a strong signal to its core readers that it is embracing its past to move forward. DC’s decision to abolish the Justice Society was weird and wrong-headed, especially coming at a time when it needs a rich stable of super-powered characters to feed its successful TV shows. And while the New 52 ignored the existence of the Justice Society, the company has been churning out gorgeous collected editions in the last year or so. Johns could not have been pleased when his earliest and greatest body of work was erased from continuity. Now he looks to rectify that and give the DC Universe a much-needed course correction. For the first time in years, know hope. Man, at some point the Atom hit the gym hard! The JSA’s return is bringing me to comics. I hope the book returns with Johns writing but as long as it’s good writing and sales good, I’m in. I like the way you think. Of anyone at DC, Johns has the deepest appreciation for the JSA. Who better to re-launch the team for a new century? You could be right, Dz. 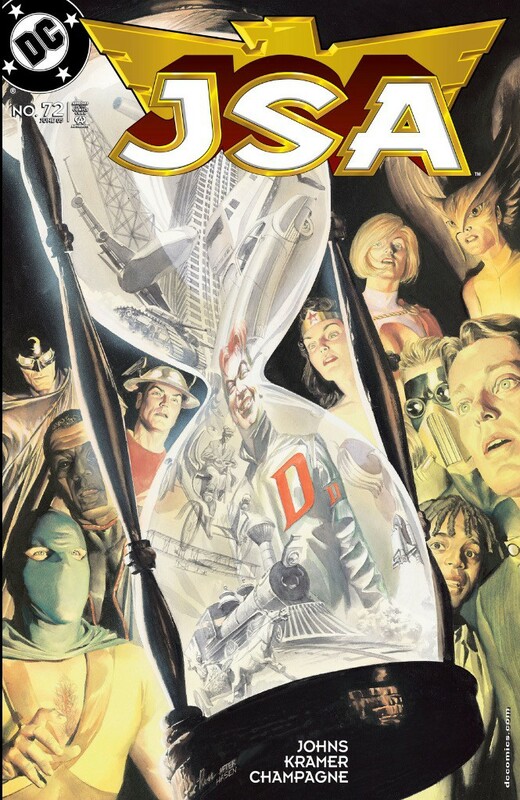 DC is hiding the details of the JSA’s return and that is one theory that could fit. I’ve been a collector of comics since I was a child and one thing that has always made me choose DC over Marvel was the Justice Society. I loved (back in the 60’s and 70’s) how they used the “older” heroes from the Golden Age (Earth Two) who would co-star with their modern counterparts from Earth One (Justice League) once or twice a year. 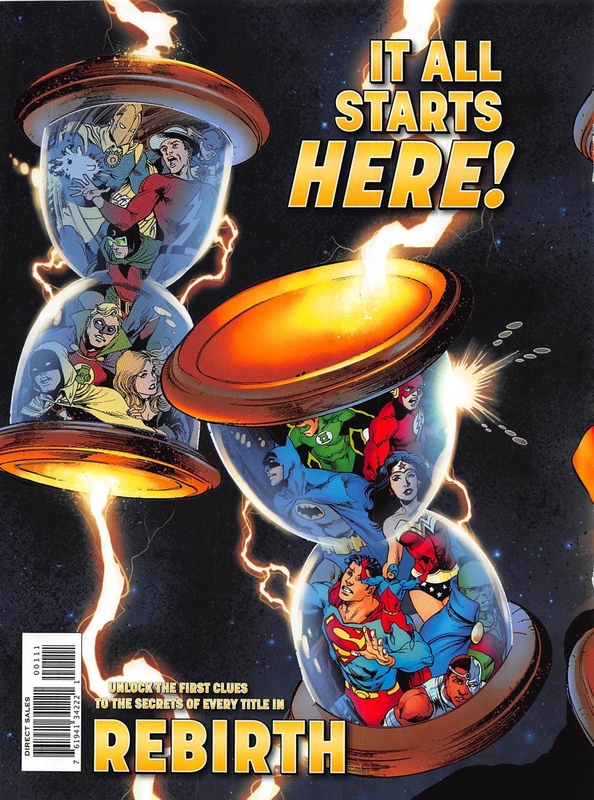 Then DC re-started “All-Star” comics, and also those wonderful gems, the All-Star Squadron and Infinity Inc. Those were the days that I was in Heaven reading DC comics!!! Then came “CRISIS” which destroyed my beloved heroes of the Golden Age. But DC brought them back in the late 90’s and early 2000’s in the JSA and Justice Society titles. Yes, they weren’t the “exact” same heroes from Earth Two. No Earth Two Batman/Robin, Superman, Wonder Woman, Power Girl and Batman’s daughter the Huntress. But, they were close enough to rekindle my love for DC again. 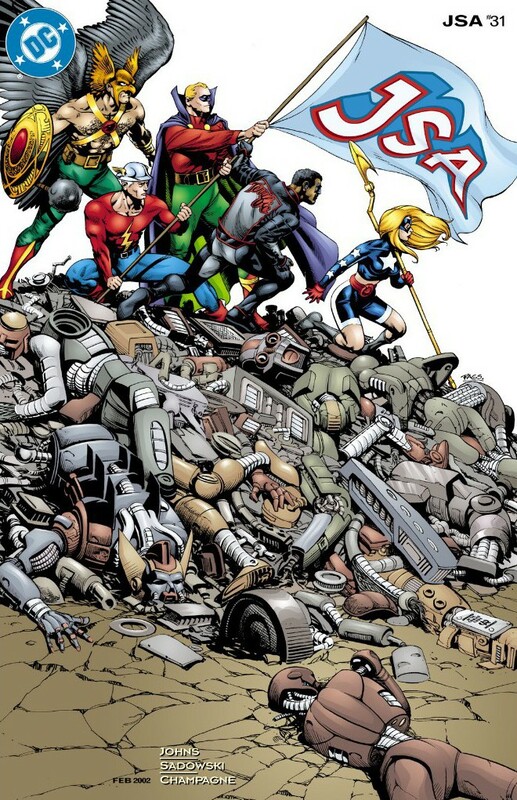 Then came the “NEW 52” and again, the disappearance of the JSA. Yes the Earth 2 title was intriguing. But those characters were “NOT” the ones I grew up loving. I’m a gay man and was surprised that DC chose to make the Earth 2 Green Lantern gay and I was okay with that. But he was “NOT” the original Green Lantern, with that cool green and purple cape from the 40’s that I loved so much. I miss the “original” heroes from “Earth Two”. ALL OF THEM!!! If DC decides to bring them back in “rebirth”, it would be a dream come true. With the death of Earth Two’s Batman restored to History along with his daughter and ward, the grown up Robin. The explanation that the older heroes have retained their youth and vitality (from that adventure in All-Star Squadron) when they defeated that time villain (can’t remember his name) and they were all bathed in his time stolen essence, was BRILLIANT. Roy Thomas did a fantastic job on those titles and his love of those characters really showed. 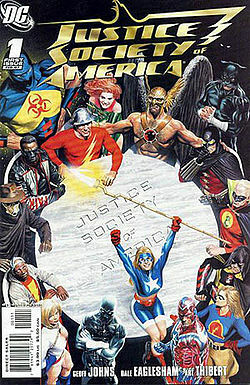 I can only hope DC will do justice (no pun intended) to the Justice Society if they indeed intend on bringing them back. If DC does bring back the JSA, I’ll be back with DC. Reading and loving every minute of it!!! Erik, like you, I remember well those annual JLA/JSA team-ups and they hooked me on comics (and the JSA) like nothing else. They were the best parts of summer. As for “Earth 2,” writer James Robinson decided to make that Alan Scott gay because his son Obsidian was lost in the mess of the rebooted universe. He wanted to keep a gay hero in the JSA. I admire his intention – but the book’s execution, under its current writers, is horrible. Like you, I still hope we’ll see the real JSA soon.